Sarepta Adeline Clark, daughter of Abner Clark and America A. Nipper, was born Sept. 16, 1854 in Sangamon Co., Illinois and died June 29, 1937 in Blockton, Taylor Co., Iowa. She married Samuel Langlon Warden Feb. 19, 1873 (His obituary gives the date as Feb. 13th). 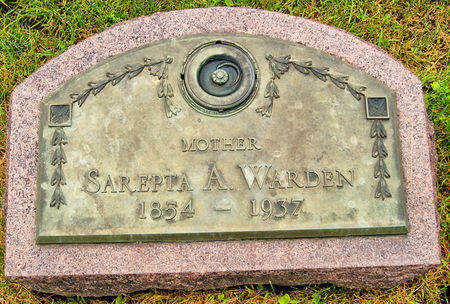 Searching for SAREPTA ADELINE CLARK WARDEN in Taylor County Iowa?